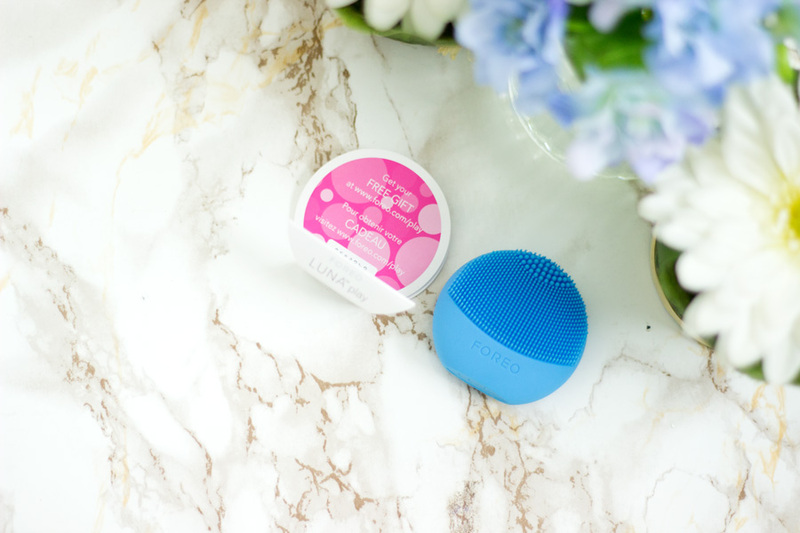 Majority of my favourite beauty devices are from FOREO particularly their Luna Range. 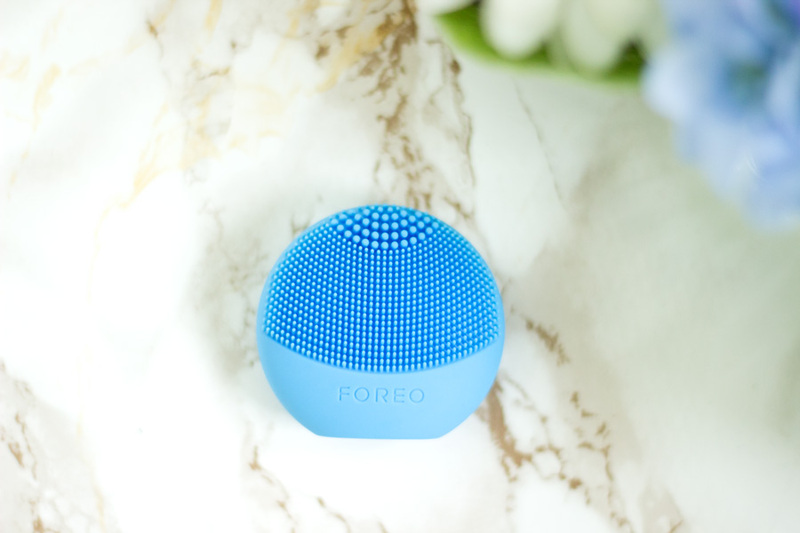 I've been super, super lucky to own a good range of FOREO devices including the FOREO Luna Exclusive for all Skin Types*, FOREO Luna Mini*, FOREO Luna Mini 2*. I also have the FOREO Iris Eye Massager* which has really changed the way I use my eye creams. 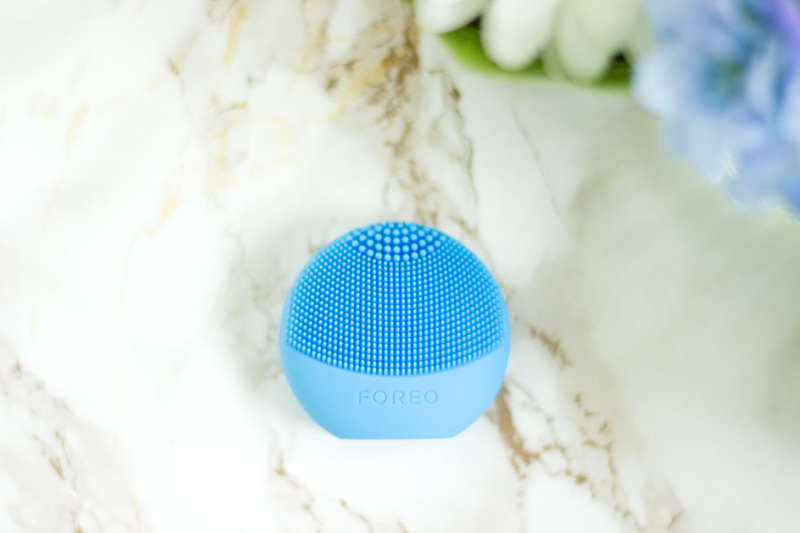 I thought I had seen them all and could not imagine what else FOREO would bring to the table until the FOREO Luna Play* was sent to me. 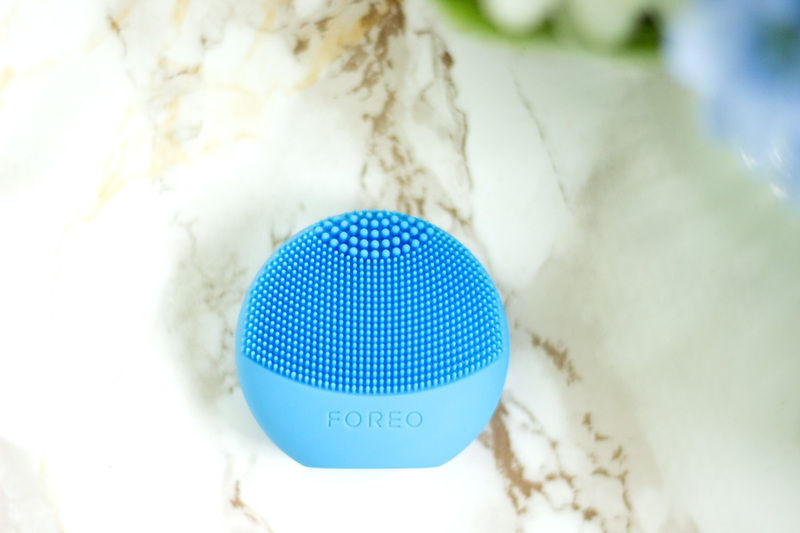 I had already seen it on the FOREO Instagram page and was planning to actually purchase it because it is very affordable at £29. It’s possibly the cutest beauty device I have ever seen and I am still in awe as to how well it performs despite its miniature size. I just could not resist sharing my thoughts on them and seeing that it’s more affordable than the others, I figured people would like to hear more about it. 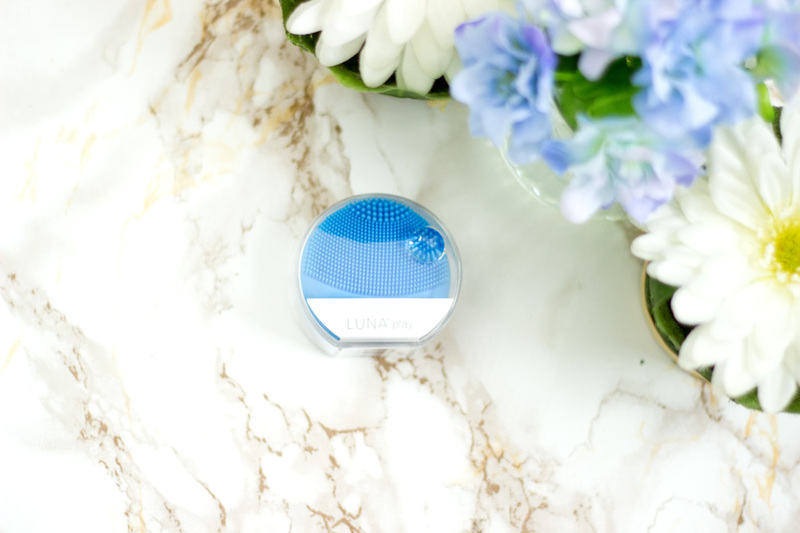 The FOREO Luna Play is no different from the other Luna devices as they all work with the T-sonic pulsation technology which allows for a deep cleanse right into the pores of the skin. 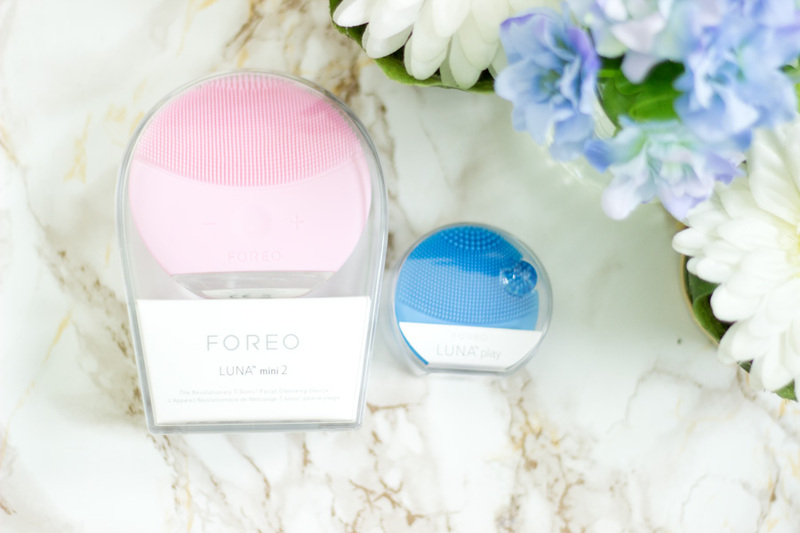 I do have reviews of the Luna Mini (review), Luna Mini 2(review) and Luna For All Skin Types (review) if you fancy an in-depth review of the technology behind how the FOREO Luna devices work. All FOREO Luna devices are 35 times more hygienic than other bristled cleansing brushes because they are made with non-porous silicone that resist bacteria build up. The Luna Play is similar in design to the other Luna devices but it is smaller than even the Luna Mini. For comparison, I have placed them side by side so you can see. It’s actually the size of a round cotton pad which is insane. 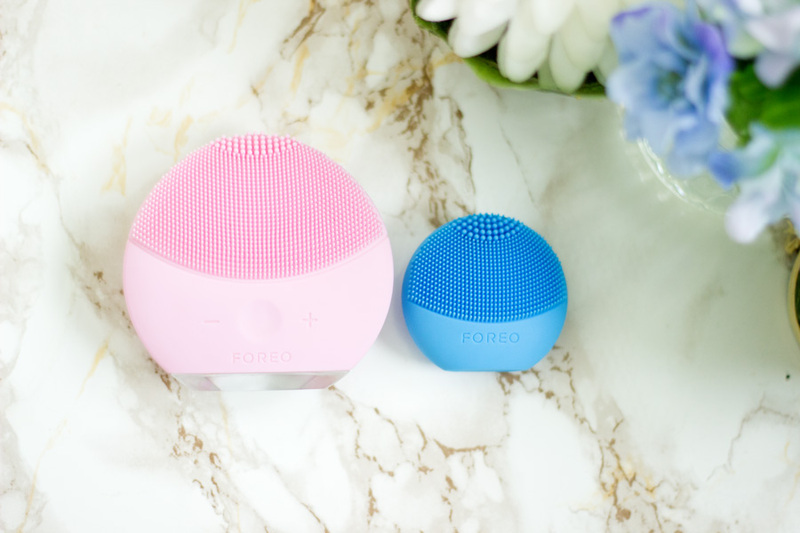 How does the FOREO Luna Play work? 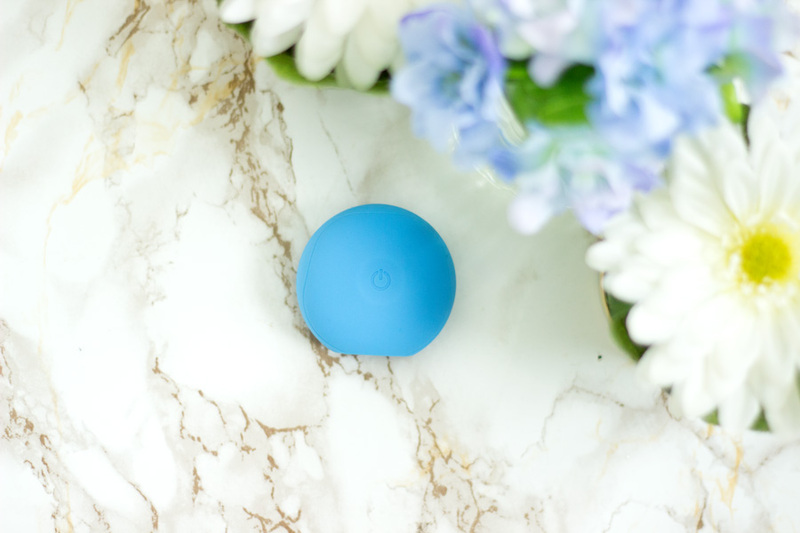 The Luna Play has soft rounded silicone touch points complete with 2 zones for different levels of cleansing. 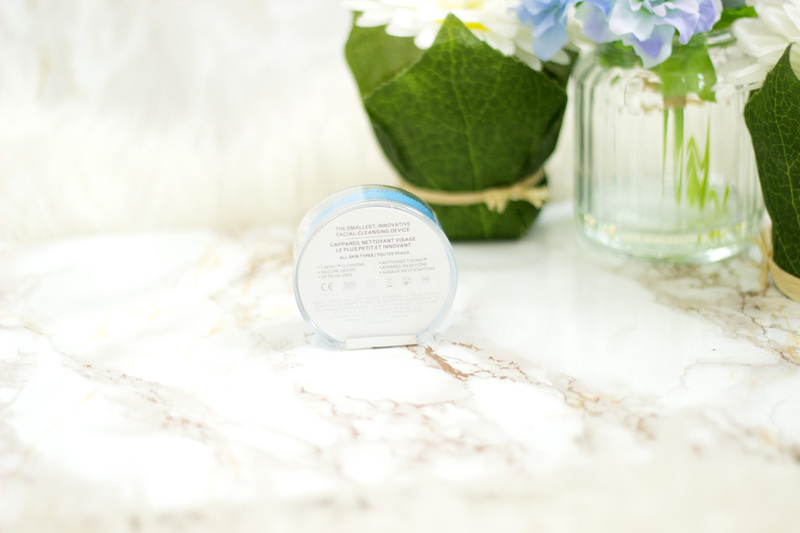 The first zone features finer silicone touch points (which covers a larger surface area) and is suitable for sensitive/normal skin around the cheeks and forehead. The second zone (smaller surface area at the top) features slightly thicker silicone which is designed for a deep and precise cleanse in areas such as the T-Zone where there could be oil build up. 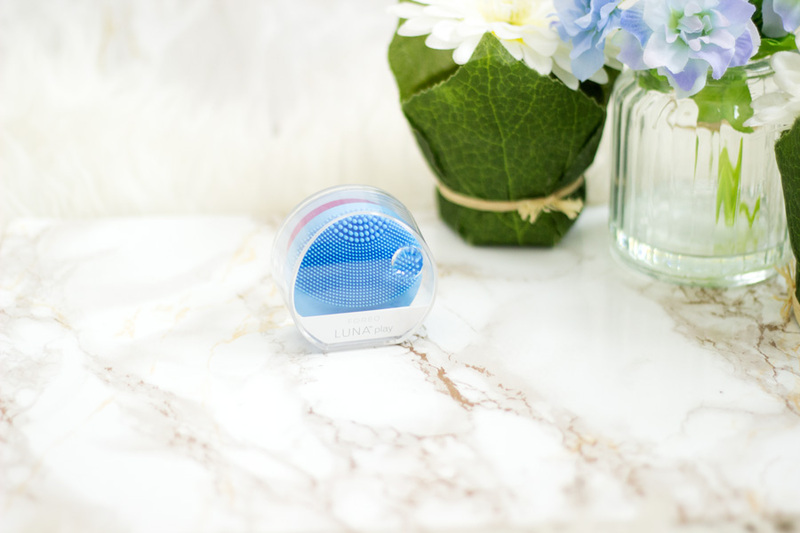 It provides 100 full cleansing routines however, it is non-rechargeable. It has a power button at the back which switches the device on and off and the speed cannot be changed. It comes in a variety of colours including Fuchsia, Aquamarine (the one I have), Midnight, Sunflower Yellow, Pearl Pink, Mint and Purple. The Luna Play is designed to gently remove dead skin cells, unclog pores of makeup residue and remove up to 99.5% dirt and oil. It promises to leave the skin glowing, soft and smooth. The miniature size makes it so ideal for travelling even on day trips. 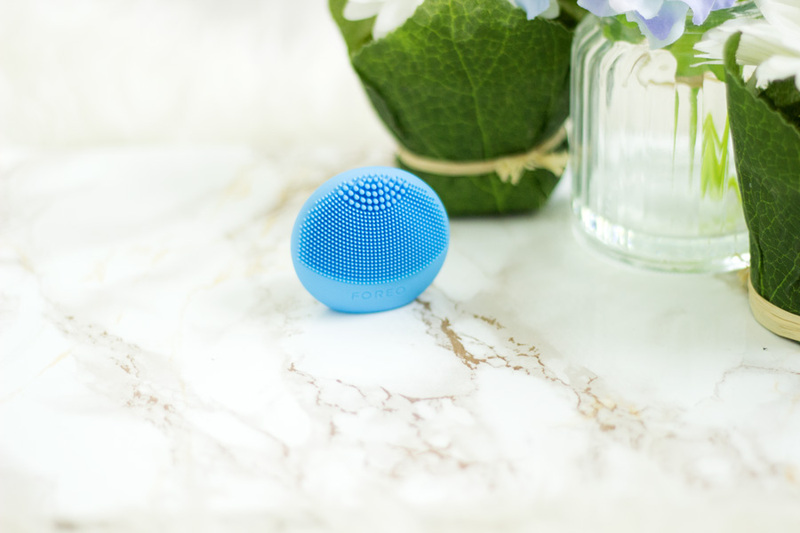 Majority of the FOREO Luna devices I own are travel friendly anyway but the Luna Play is definitely at the top when it comes to travelling light and easy. 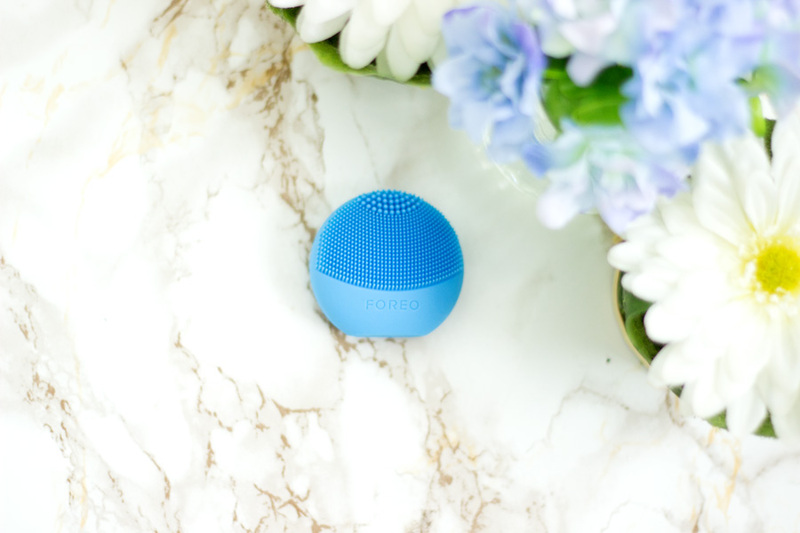 How do I use the FOREO Luna Play? I think the Luna devices are the easiest beauty devices to use and they are non-messy as well. I always do a double cleanse which means I would have already removed my makeup with either a micellar water, cleansing balm or oil before going in with my cleanser and Luna Play. I wet my face and massage my cleanser of choice on to my face and switch on the Luna Play. I start off with my forehead, cheeks and T-zones and once I am done, I switch off my Luna Play and rinse it off. It dries so fast that I could use it in the morning and still pack it in my travel bag a few minutes later. It’s so easy to use and I can’t imagine anyone struggling to use this. Yes, it may not have a timer or speed altering button but I honestly don’t mind. I am already accustomed to how long it takes to clean each section of my face. I didn't really have high expectations for the Luna Play because I just thought it would be another cute device. I was so wrong!! The Luna Play is super effective and works in exactly the same way as the other Luna devices I have tried. Each time I use it, I am in awe as to how well it cleanses my skin. Its miniature size means that it reaches areas of my face (like around my nose, etc) which are slightly difficult to reach. 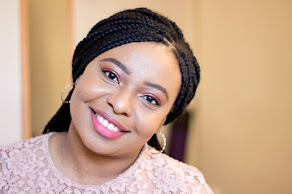 I took the Luna Play with me to Nigeria for my holidays because I wanted to see how well it would work with my skin over there. It actually worked wonders because I did not break out (which usually happens when I travel or change in weather), my skin felt smooth and glowing. Honestly, I cannot praise this little device enough. All I can say is just give it a try if you can and you won’t regret it, I promise. I still cannot get over this amazing little device called the Luna Play. I am just absolutely in love with it and I recommend it to anyone I know. Deep down, I want to get on the website and purchase all the beautiful colours but I am restraining myself because that will be silly. I have really enjoyed using the Luna Play and its performance while I was away on holiday really endeared it to my heart. Right, I will just stop here because I can go on and on. I hope you enjoyed this post. 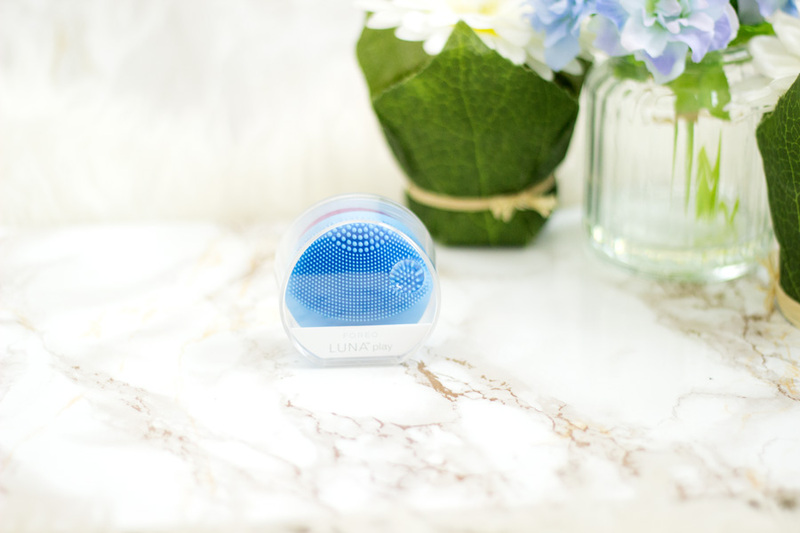 Have you tried the Luna Play? This little beauty device is so adorable! Although I find it quite pricey for me, considering that you can't change the battery or recharge it.